How many of you had this experience as a child? Sitting in church with your family, the offering time arrives, the ushers come forward, the music begins, and you proudly place your offering in the plate as it goes by. My earliest memories of giving occurred in church. My parents made sure I had something to put in the offering plate every Sunday, even as a toddler. It was quite natural, because I saw my dad put his own envelope in the plate as well. He must have learned that from his parents, too. Because every time I visited my grandparents’ church, my Grandmaw pressed a dollar bill into my hand before the usher came to our row. God loves a cheerful giver, Paul wrote. And what is more joyous than a child who feels that sense of belonging and love from fully participating in the life of the church. So how do we teach children stewardship and the joy of being generous? Here are a few tips, offered from a father of two wonderful daughters for twenty-one years now, and a pastor for just a little bit longer than that. First of all, as a parent or a pastor, take some time to clarify your own thinking about stewardship and generosity. What does it mean to be a good steward of your resources? What does it mean to be generous? Why do you give? Perhaps a Philanthropic Autobiography might be a good first step toward understanding your own beliefs about stewardship and giving generously. Tip: Know your own beliefs about stewardship and giving. Children learn by imitation. No doubt you remember the first words that came out of your child’s mouth. Early on, they were unintelligible. But soon that first word – maybe mama or dada. From then on, it was a mad rush to add words to their vocabulary at a blistering rate. Sentence structure came early and continued to develop. That wasn’t book learning. You didn’t prepare a lesson plan. Rather, children pay very close attention to the actions of adults around them, especially those closest to them, and they imitate. Learning stewardship is no different. If their family manages their money well – paying bills on time, saving up for large purchases, avoiding impulse purchases – children will learn to be good stewards of their financial resources as well. If children see their parents giving in the offering plate, and writing checks to support worthy causes, if they know their parents are involved at church and in the community, then the job of teaching stewardship is mostly done without a conversation. Tip: Align your stewardship practices with your beliefs, and let your child see your stewardship in action over and over. 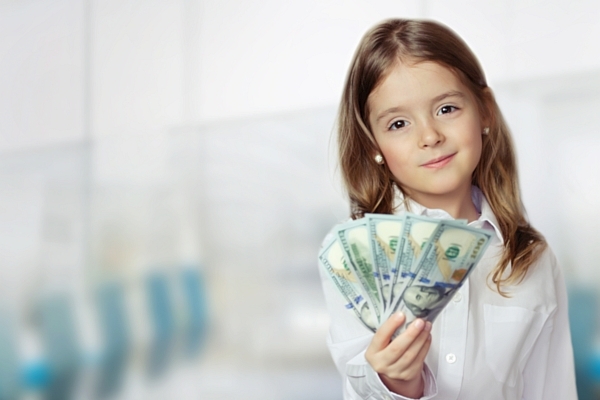 As children get older, they need hands-on experience managing money. We have two great ways to help them gain an intimate understanding of how money works. We can play and pretend with them. And we can help them handle real money. Play is one of the ways children learn best. Think of the child with the kid-size kitchen and fake plastic food and utensils, copying mom or dad as the evening meal is prepared. Playing with money can be just as fun. Think Monopoly here, or the Game of Life. Even simple card games like Go-Fish and Old Maid, while not directly about money, help children see resources being gained and lost through interaction with others. For real money, children can set up a savings account. The very young can have a savings account at the Bank of Mommy, for example, with three simple glass jars (I like the visual of glass jars!). 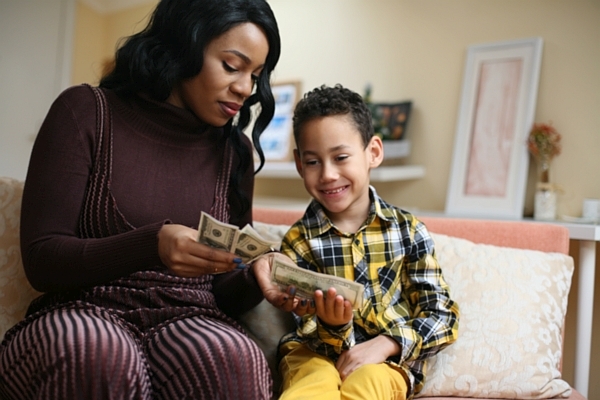 An allowance can be used to teach children to save, to spend, and to give. As they grow older, a time will come when a savings account at a real bank becomes another opportunity to teach stewardship. Tip: Help children handle money, real and pretend, and teach them to make good stewardship decisions. Perhaps you came to this article as a church professional or volunteer. The ideas for at-home stewardship education are fine, but here is the information you’re looking for. In what ways can the church help families teach their children stewardship and generosity. Yes, of course! The Sunday School classroom might be a good place to start. Resources are available from the Center for Faith and Giving for those interested in teaching stewardship to children. Activities, videos, and links to articles with even more ideas are included on this resource page. More importantly, be sure to involve children in every aspect of stewardship and giving in the life of the church. Does your church use giving envelopes? Use special children’s giving envelopes, available from many church suppliers, to include children in the offering each Sunday. Some churches use offering boxes with children, especially for special projects or emphases. Older children can serve as ushers from time to time, passing the plates down the pews. Find ways to involve children in special giving projects, such as capital campaigns or the annual pledge campaign. Establish a special goal for your Vacation Bible School and excite the kids to give during that week. Tip: Use your imagination to create ways to help children understand the joy of giving. Stewardship is a way of life marked by the abundance of God’s gifts for us. As stewards, we practice responsibility, joy, generosity, and thoughtfulness about the resources available for our use. This spiritual discipline can be nurtured and enjoyed at any age. Help your church grow and succeed! Sign up for our newsletter to receive the latest trends and news.